Brad Peterson Baseball Academy is an instructional program for youth baseball based in Kirkland, Wa. Our students come from all over the Puget Sound area, primarily from the Eastside of Seattle. 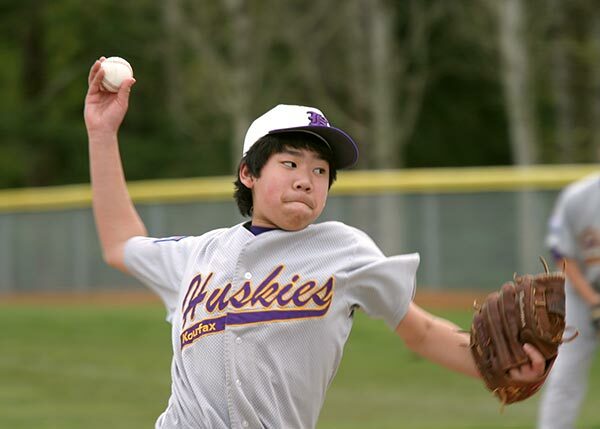 We feature individual and group lessons, seasonal baseball camps and clinics, and we are the home of the Eastside Huskies Baseball Club, 9U and 15U Koufax League select teams. Please contact us to find out how we can help your player. Schedule early to attend and save! At those times of year when there are no camps, Brad Peterson Baseball is still busy with private instruction for your All Star in the making. Visit our Private Instruction and Camps and Clinics to learn about some of what we offer. Please contact us to learn how we can help! The Brad Peterson Baseball Academy offers private instruction in pitching, hitting, and fielding skills. Improve your abilities in order to maximize performance on the field, excel to the All-Star team, and increase enjoyment of the game. Interested in Joining the Eastside Huskies Baseball Club? We have openings on the 9u(4), 10u(2), and 13u(1) teams. I wanted to write and let you know how much your clinics in January and February helped Jack. Many have commented on his confidence level and of course the improvement in skills. I learned the most about baseball the year I played for Brad when I was 14. Jacco learned so much! He had 2 baseball practices last week, and the coaches were asking, where he had learned to play like that! Thanks for the great camp. Our son Jack (12 years old) took pitching lessons from Brad Peterson this winter. Brad’s instructional techniques were excellent and Jack was motivated to practice the techniques himself after the instructions. Find Out What Brad Peterson Baseball Academy Has to Offer You!